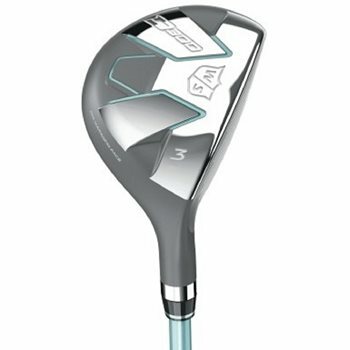 The Wilson Staff D300 hybrids were designed for distance. The D300’s aerodynamic design includes visible, Micro Vortex Generators to reduce drag forces leading to increased club head speeds and added distances. In addition, its new, progressive head design increases volume on stronger, lofted heads for more forgiveness on longer shots, and its increased face curvature on stronger, lofted heads creates consistent impact and accuracy. Combined with the 455 Carpenter Custom insert, a premium steel insert that creates a thin, hot, high CT face, the D300 is perfect for any player looking to maximize their distance on the course.